We believe that church isn’t a building. Church is a group of people that are learning, growing, and developing each other through God’s Word. Our spiritual journey isn’t meant to be walked alone or apart from others; rather, in the Bible we see Jesus involved in three different groups: teaching large crowds, developing the 12 disciples, and mentoring an inner circle of 3 (James, John, and Peter). Jesus knew that helping people understand spiritual things and applying that knowledge for the purpose of life transformation, took place in groups. The Groups at Bartlett Baptist each have a very specific design and intentional purpose in mind. We pray that as you consider one of our groups, you’ll find yourself not only becoming more like Jesus, but that you’ll make lifelong friendships with others who are on the journey with you. Join in one of our groups today! Worship is our largest and most foundational group at Bartlett Baptist. 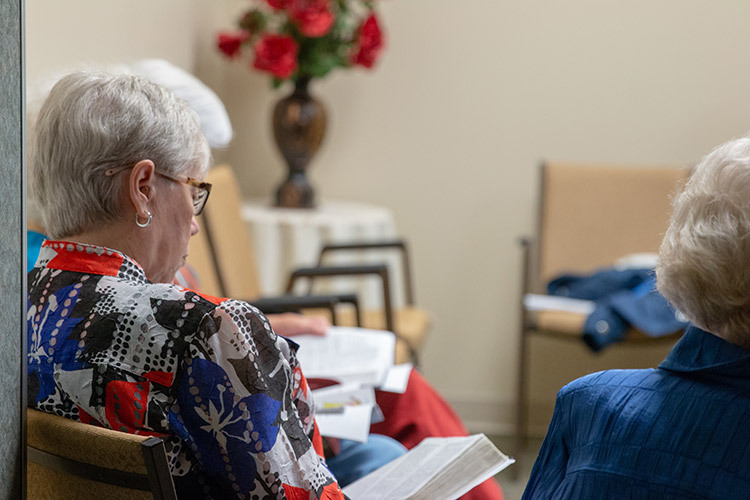 One of the first steps towards transformation and being more intentional about our faith is involvement is Connect Groups which meet on Sunday morning before and after our worship services. Life Groups are smaller groups which meet on Sunday nights, usually in someone’s home that are focused on sermon application and life transformation. We have Bible Study on Sunday mornings at 8:00 AM, 9:00 AM, and 10:30 AM. Our Life Groups meet in homes on Sunday nights at 5 PM and enjoy each other’s company while digging into the Word together. Have a question about our Groups ministry? Email Luke, our Groups & Connections Pastor.